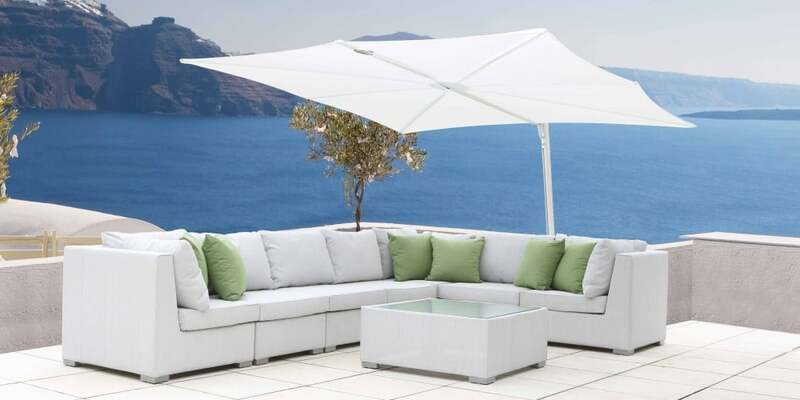 The minimalistic Spectra cantilever parasol is the ideal partner for contemporary outdoor living. Choose from a wide range of vibrant, distinct colours to perfectly match your own environment. 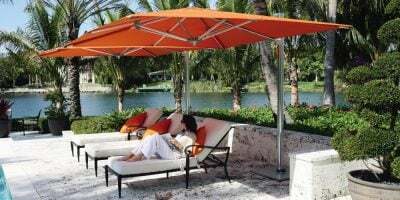 This innovative shade structure boasts a unique geometrical, ergonomic design which allows for easy positioning for maximum shade; such as the desired height, the angle of inclination and 360° rotation. 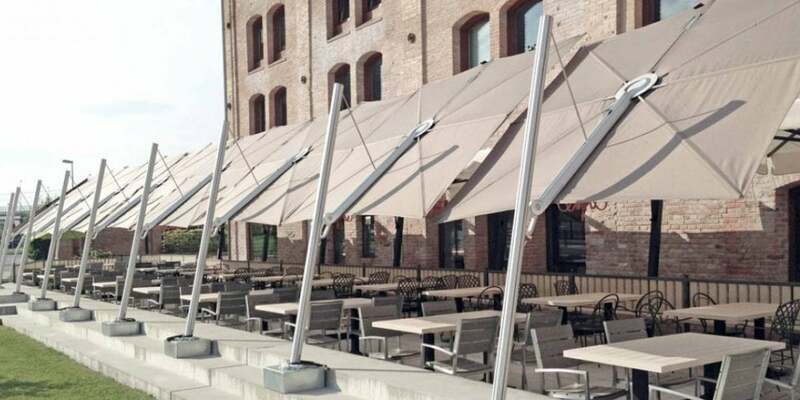 The Spectra cantilever parasol can easily be folded and stored into its protective cover, which comes standard with the Spectra parasol, allowing for indoor/outdoor storage year round. Cantilever aluminium frames, stainless steel fittings and fibreglass ribs. The structure is opened by fanning out the canopy. 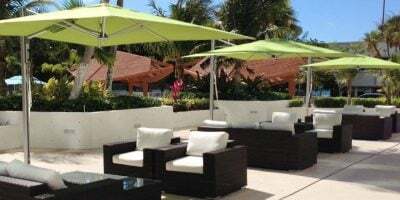 The whole unit can be closed and a protective cover bag placed over the parasol to provide protection from the weather. The mast of the single canopy Spectra parasol can be positioned in one of 2 ways – vertically or sloped forward at an angle of 80 degrees. The choice of position must be stated at the time of ordering. This is not an adjustment that can be made to the parasol. 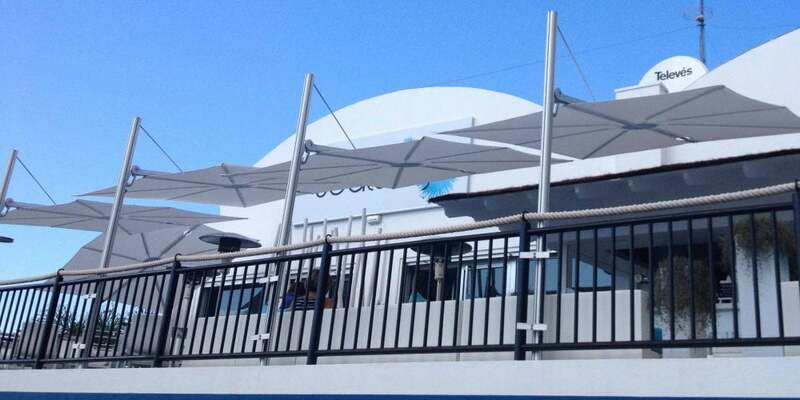 The Spectra parasol canopy can easily be tilted. 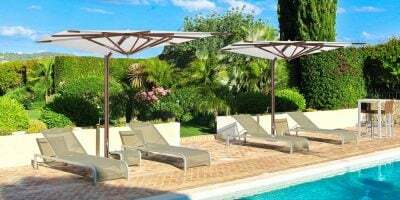 Spectra cantilever parasols are available in two different fabric ranges with a wide array of colours to suit all needs. Printing on the parasol canvas is available with no minimum order value. In-ground base – Parasol in-ground base. Lower section of the ground base should be set into concrete. Tile base – Parasol tile base, for freestanding installation. Slabs need to be added to provide the stability. Tile base cover – A cover is also available for the parasol tile base. 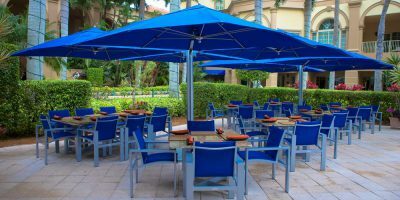 Spectra base system – Parasol freestanding base with steel plates. Creates a lower profile option to the tile base.